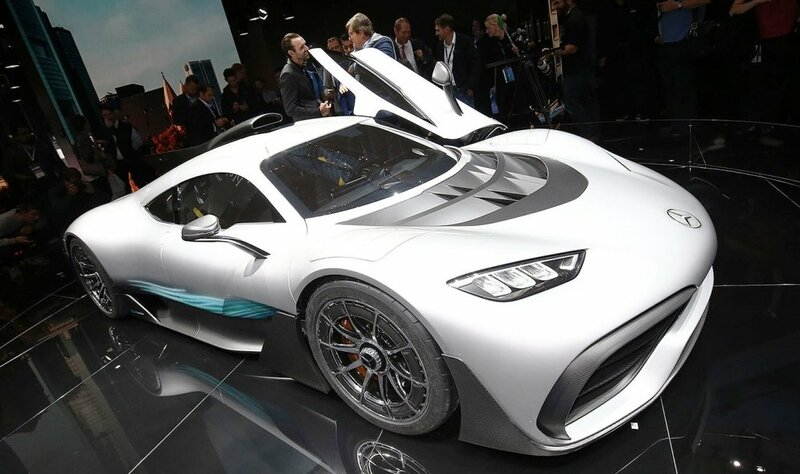 FRANKFURT -- Mercedes-Benz unveiled its Formula One-inspired Project One concept, touting the supercar's performance as "breath-taking." 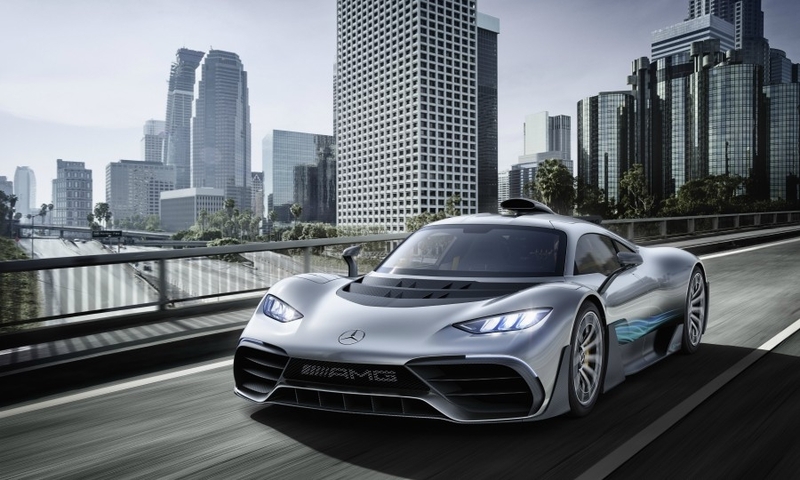 The 1,000-hp two-seater brings F1 racing technology to the road for the first time, CEO Dieter Zetsche told journalists at an unveiling here on Monday, ahead of the car's public debut at the Frankfurt auto show on Tuesday. 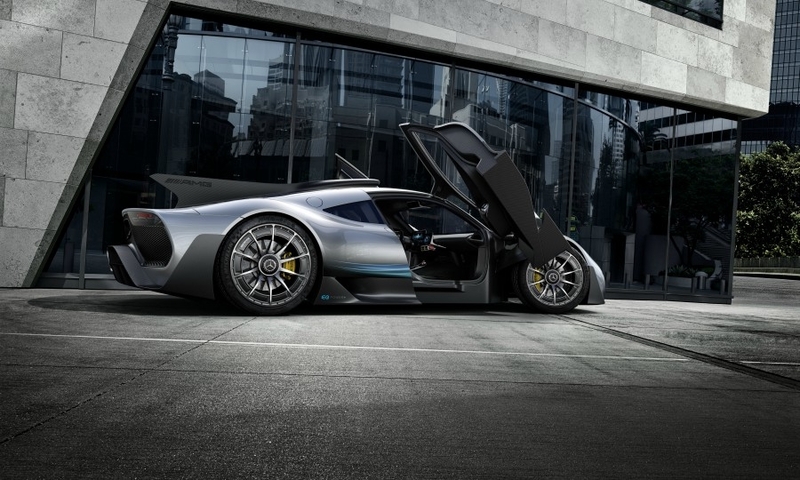 The car "handles exactly as it looks: it takes your breath away," added Mercedes development chief Ola Kaellenius. 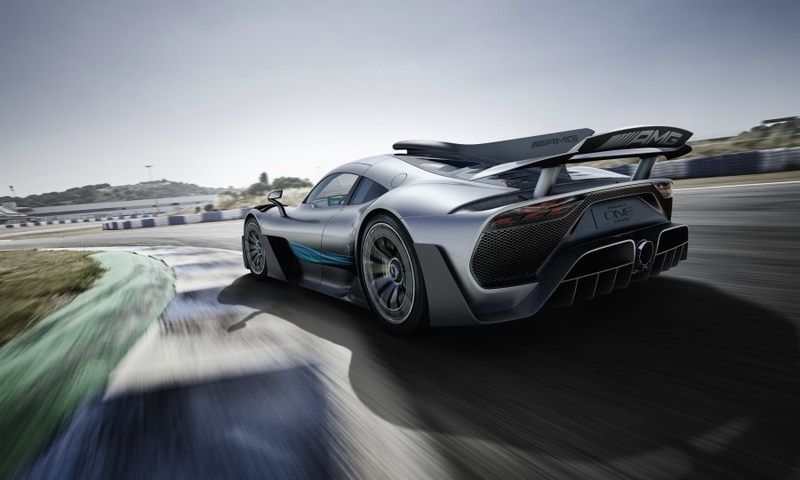 Project One's 1.6-liter V-6 hybrid gasoline engine mounted ahead of the rear axle comes directly from the Mercedes-AMG Petronas F1 racing car. The engine is theoretically capable of hitting 11,000 revolutions per minute. For purposes of practicality and longevity and because it does not use racing fuel, engineers have stopped significantly short of that. The car can accelerate from 0 to 200 kph (120mph) in less than 6 seconds. By comparison, the 1,500-hp Bugatti Chiron needs 6.1 seconds for the sprint, while the McLaren P1 requires 6.8 seconds to reach that speed. 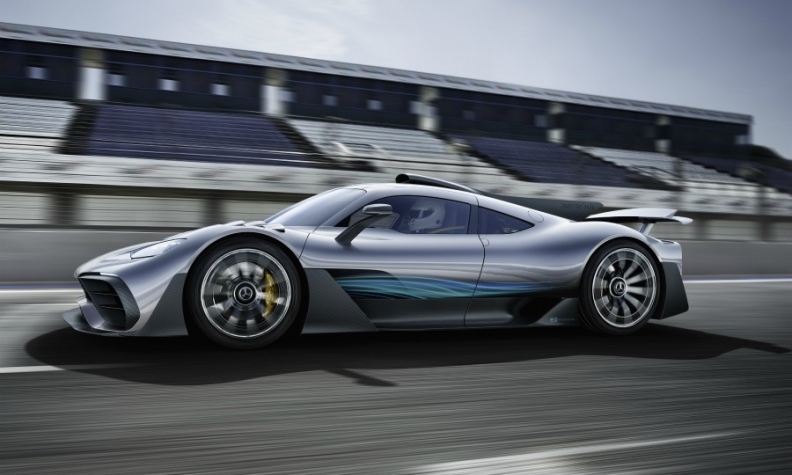 The Project One cab can reach a speed of more than 350 kph (210 mph), Mercedes said. 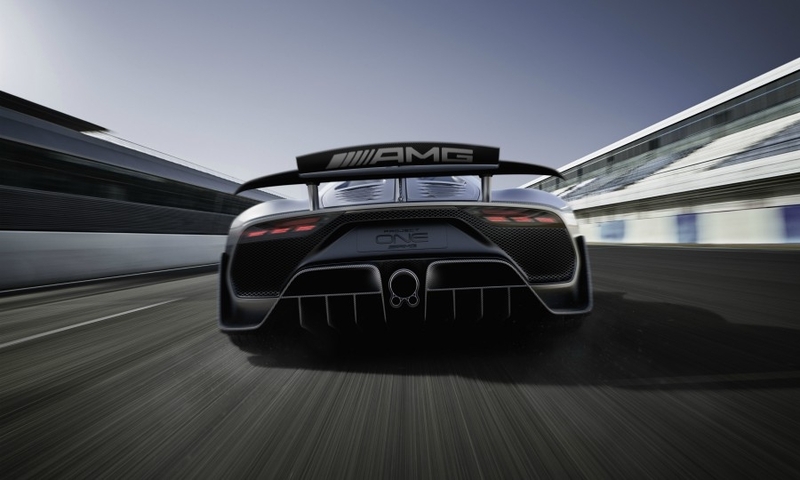 The production Project One will be a halo car for the AMG performance brand. Zetsche said Mercedes is drawing on its experiences and successes from three constructors' and drivers' world championships to bring F1 technology to the road for the first time. Mercedes did not specify the price, which motoring press reports said will be about $2 million. It also did not give the exact hp. Project One is still a concept and gives specific indications of what to expect from the upcoming production model, the company said. Each front wheel has a 120-kilowatt electric motor that allows the fully-electric front axle allows to independently distribute power to either wheel. An electrically boosted turbocharger means response time is even shorter than that of a naturally aspirated V-8 engine, and a second 120 kilowatt electric motor is linked to the crankcase for added torque. To transmit the total 500 kilowatt output to the rear axle, Mercedes-AMG chose an eight-speed automated manual gearbox. At low speeds, the combustion engine remains idle, and the vehicle can drive up to 25 km before it drains its high-voltage lithium ion battery. No information was provided as to its likely certified fuel consumption. 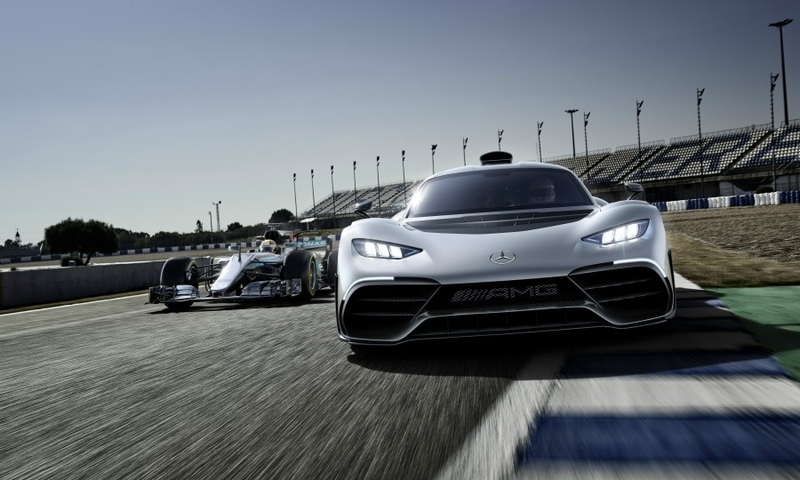 Just like Porsche's upcoming all-electric Mission E sports car, the engineers at Mercedes-AMG doubled the electrical potential of the drive system to 800 volts in order reduce the diameter of the cables, saving both space and weight. Though street-legal, the Project One is also designed as if it was meant for the track. It comes with a F1-style steering wheel with flattened upper and lower sections and a minimalist interior, with every detail serving a purpose and nothing included merely for aesthetics. 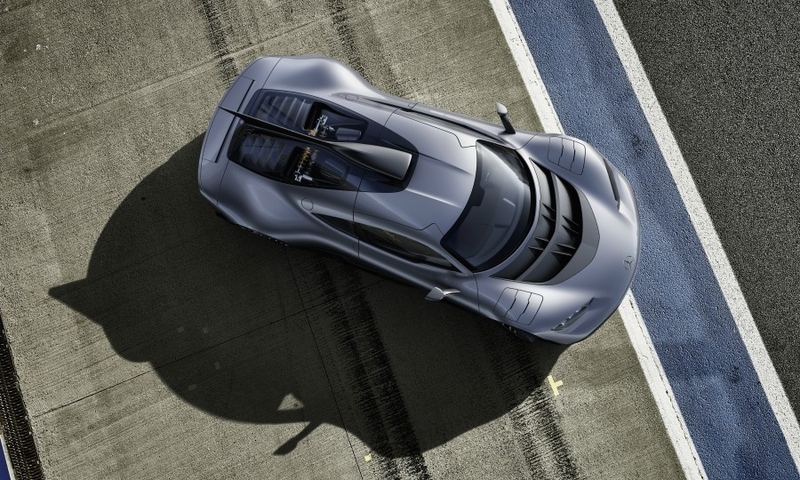 The production Project One will be a halo car for Daimler's AMG performance brand. The car's equipment includes an air conditioning system and Mercedes' COMAND infotainment system for connectivity. Additional safety features were included to minimize risks. Instead of a rear-view mirror, for example, the Project One has a screen that shows real-time images from a mirror cam to improve visibility behind the car. Mercedes sought to deflect potential criticism that the car is a waste of resources and money, saying engineers hope to obtain "extensive findings" about its performance that will later benefit production AMG cars. "Project One provides an outlook on how AMG will define driving performance in the future," said Mercedes-AMG chief Tobias Moers.